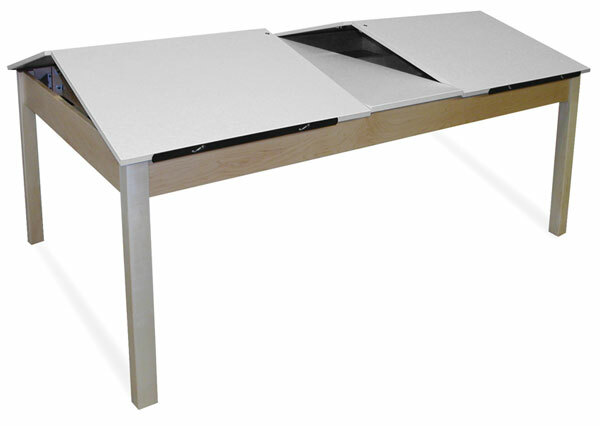 This space-saving table is built for classroom use and abuse. Features 4 tilting natural almond 30" × 24" Fiberesin drawing surfaces. A ratchet tilting mechanism permits flat or inclined positioning. Hard maple rails are joined to the 2-1/4" square legs. ™ Hann is a trademark.® Fiberesin is a registered trademark.